I've checked the results against both the dumped polygons from the raster, and the original raster itself. Everything is correct except the two duplicate rows at the bottom of the output. 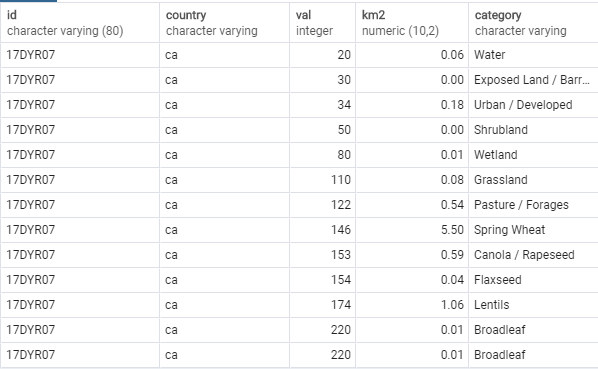 The inner query (t3) seems fine as the result is grouped by value/country. You can run it alone and ensure there is no duplicate. Not the answer you're looking for? Browse other questions tagged postgis postgresql attribute-joins or ask your own question. How do you combine multiple spatial functions in one query?